“The National Clean Plant Network is a valuable resource for our wine industry of Washington and other areas of the PNW and the nation. 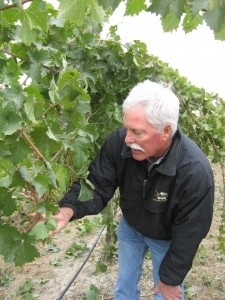 Virus-clean grapevine material from the Clean Plant Center Northwest (CPCNW) has given the Washington wine industry a future and direction in battling the most significant disease (Grapevine leafroll) facing the industry. This is important to me and many others for the long-term sustainability of our farming operations. We farm over 1300 acres of wine grapes and 250 acres of Concords and we cannot afford to overlook the significance of clean, virus-free planting material. It is without any reservation that I support the NCPN and CPCNW because I know firsthand that the long-term sustainability of the wine grape industry depends on the availability of clean, virus-free grape plants.